Via a tweet from less fat Dave. Disarmament Man, protecting, aiding and abetting the criminal element for thousands of years! 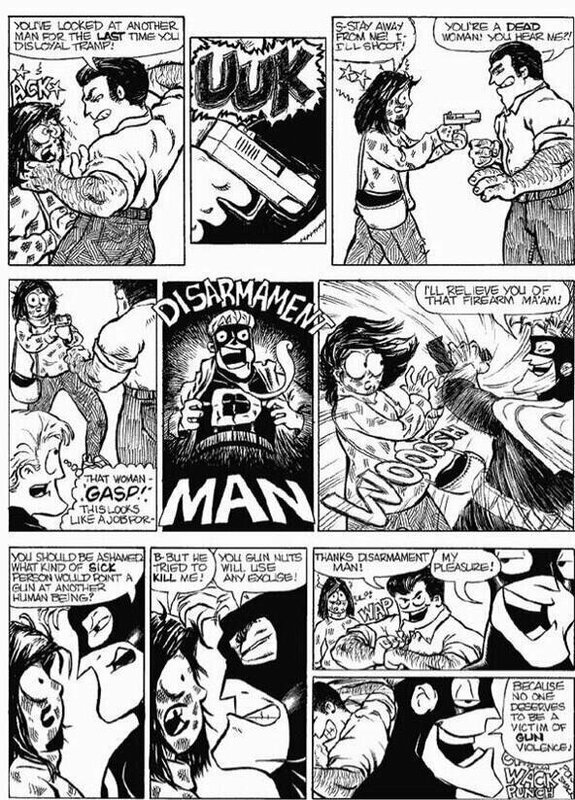 Sooner or later, Disarmament Man is going to need a bullet to the brain pan, that is, if his allies won’t allow him to be arrested, tried, and sentenced for hs crimes. So it is that you Romans, you Babylonians, you Fascist (if you only knew what the term meant), anti rights activists both inside and outside of government should think of protecting your own to some extent by advocating the arrest, trial, and possible fines, loss of title, and jail time option. That’s what you want for yourselves because the alternative is that our hand is forced and we have to start in with the vigilante methods as a last resort. Our patience may be great, but it is not infinite. Do you want orderly justice, or the more precipitous and unpredictable type? I know some of you want chaos, and your day of rage and plunder and murder and all that, of course, but if you thought a little bit more about it you’d change your minds– Such a day will not turn out well for you. Your secrets and ruses and proxies and false dialectics are coming unraveled, and this time we’ll have your name and number. Unfortunately your arrogance pre-determines the outcome, but a fair warning is nonetheless in order. I’m pretty sure I lifted that image from Miguel’s blog, gunfreezone dot net. I really should dig up the source and add a watermark for the original artist. Got a reference to the original for hotlinking? Feel free to use that to hotlink, I guarantee it won’t go away absent a copyright complaint from the original artist (or my demise).